Grant Leboff Marketing Principles How do I turn prospects into customers? You may be good at networking but… what do you do next? 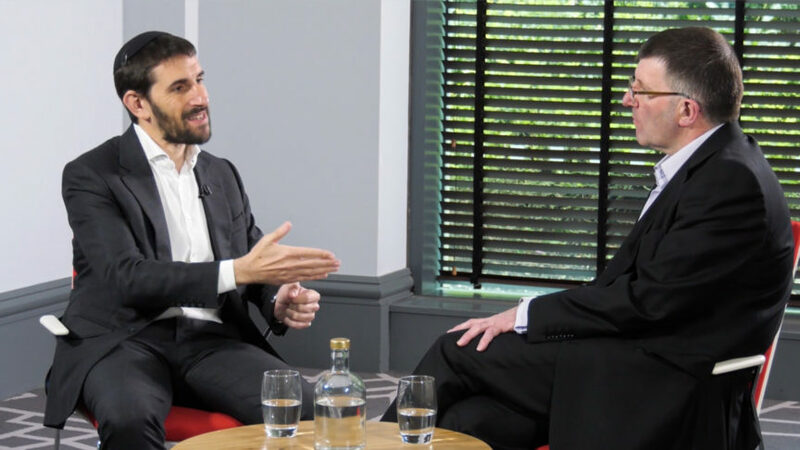 Dave Harries: For a lot of businesses, getting prospects is something that perhaps, they become reasonably good at… going networking, getting in the right space on digital media and that sort of thing. But then of course, the question becomes how do I turn those prospects into customers? So again, are there obvious things they should be doing in order to increase the chances of that? Grant Leboff: Absolutely. I mean, it’s a very big question. There’s no one silver bullet. ‘This is what you do and your prospects turn into customers’… but there are mechanisms and activities that should be taking place. The first one is to ask yourself this question; what do I want my prospect to do next? It’s always a question. So if I’m going to a meeting, what do I want them to do next? What is the outcome that I’m looking for from that meeting? If you’re selling a multimillion pound software platform and this is your first ever meeting with that customer or that prospect – far be it for me to sound cynical, but you probably aren’t going to nail that prospect on that multimillion pound deal. So then you’re going to say, well, what’s my objective of that meeting? But similarly online, if you’re putting up content and you’ve got a really nice introduction to how to turn prospects into customers, then you’d say, well, what’s my call to action next? Do I invite them to a Webinar, a, is there a seminar they can go to? Am I going to lead them to a video from that? What is the activity that I want them to do next and then being able to measure that activity. So, if you were to invite them to a Webinar, if they register for that Webinar, that then gives you an opportunity – following up for that Webinar – to send them a handout from the Webinar or whatever and start to generate more touch points. So in other words, you start to understand what that purchase journey looks like. I think often people are a bit hit and miss. They get an opportunity when someone engages with the video and they don’t really know what’s supposed to happen next. They just know, at some point, they want them to buy something. Dave Harries: Having methods that are likely to turn a prospect into a customer is all very well, but should we be prioritising who you concentrate those efforts on? Obviously if you’ve got, I don’t know, 100 prospects in your database, it’s not reasonable. probably, to expect that all of them are going to turn into customers. So say 10 percent are more likely than others, are there ways you can identify that 10 percent? Are there buying signals, for example, that you could sort of say, oh yeah, I put a bit of focus on them? Grant Leboff: Yeah, absolutely. It goes back to this purchase journey again. If you decide; well, what I’m going to do is I’m going to:- let’s use this an online example. I’m going to put out content on a regular basis, around my products and services and giving value to customers. So hints and tips and ideas or whatever else. And you might get several thousand visitors to your website on a monthly basis and obviously you don’t have the where-with-all, internally to start following up thousands of visitors and actually, many of them aren’t ready to purchase yet. So then it’s saying, well actually when people engage with the content, I am then inviting people to a Webinar and from those thousands of visitors, you may already have 30 that go to the Webinar. Now those 30 might be worth, you do the Webinar and then you send them something and you follow up on those 30, which is maybe more realistic. So it’s understanding, it’s allowing yourself to have triggers within the purchase journey, when you can say, well, if they reached that trigger point, I’m then going to ask one of my salespeople to call them or we’re going to send them a personalised email or whatever that next step looks like.